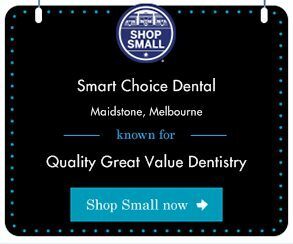 Smart Choice Dental are part of the American Express “Shop Small” movement. This means when you pay your visit with your American Express card, you get a $10 credit back on your bill. As simple as that. Rest assured, at Smart Choice Dental we never apply a surcharge to credit card payments. All you need to do is register your American Express card number before you shop (you can do that here) and then start shopping – you can earn up to 10 X $20 credits at a variety of local small businesses. The small print…. This offer is arranged by American Express runs until 30 November 2014, on purchases above $20 at participating small businesses in Australia.